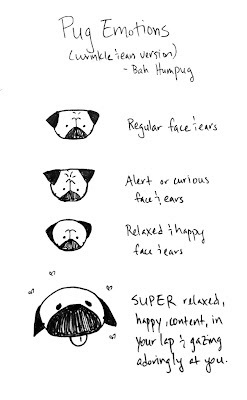 A while ago I did a drawing of pug emotions that focused on the tail. 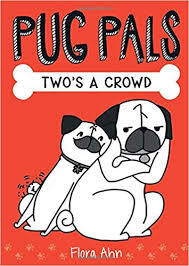 But pugs' faces can be very expressive, especially their wrinkles, eyes, and ears! 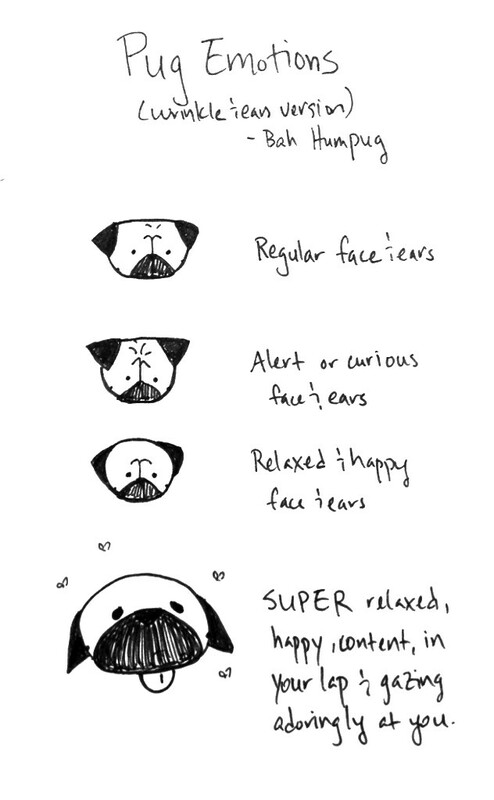 So here's a quick drawing I did showing another aspect of pug emotions. Sorry I haven't been posting as much lately. It's a combination of drawer's block and getting really busy at work and other projects. I hope to post more often soon! This is so accurate! Especially that last one. My little Knightley was doing that last night, just staring adoringly with his ears far back as they would go as I scratched his chest. 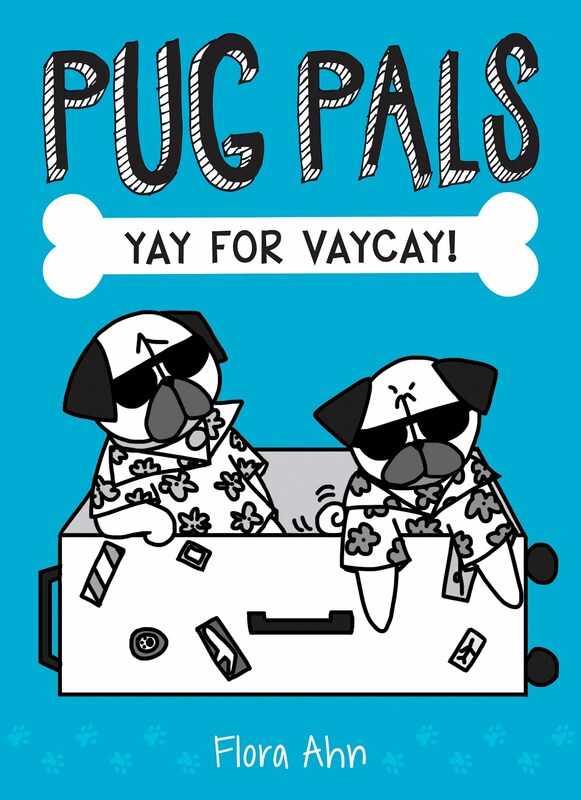 Silly pugs.